As a reader of startupolic.com, you probably know that I’m a big fan of the pay it forward culture. Or said differently, give before you get. Last year, I did a first experiment by giving 30min to any founder (no selection here) who wanted to pitch me her project, or simply ask me some questions about starting up, about lean startup or about how to build a (digital) product. I’ve simply tried it for fun. And it was! It went beyond my expectations, as I was fully booked, even had to add extra slots. There was a lot of interesting discussions, with people who were just starting up. Or who were considering the startup way after having built state-of-the art technology during their PhD. The title (“pitch me if you can!”) is quite pompous and bit provocative, I know… I was simply expecting some discussions in form of Q&A, but I was impressed by a fellow entrepreneur who prepared herself (yes, a female tech startup founder – it’s rare in Switzerland but it exists) and who came to me for a rehearsal of a pitch she had to do at a conference. And who told me that she’ll register again for my next session, as “I’ve brought her ton of value” (she said, not me). Hope you’re still reading startupolic ;-)! What she got, in a few words: real feedback without putting gloves! I’d like to renew the experiment before Christmas and that’s why I’ll make me available for the second edition of the startupolic office hours. … book your 30-minutes slot right now! Friday 25th of November, between 13:00 and 14:30: BOOK ME! Friday 16th of December, between 13:00 and 14:30: BOOK ME! Or you can meet me at Fintech FUSION on November 30th, from 09:30 to 10:30. BOOK ME in Geneva! And if you’d like me to organize an office hours in Zürich or in Biel/Bienne, let me know! The post Pitch Me If You Can! 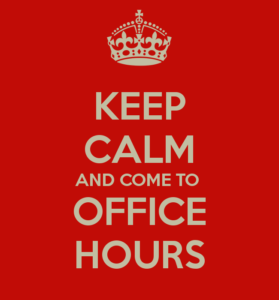 Startupolic Office Hours Are Back appeared first on Startupolic.